Player kicks ball towards goal during the Down v. Offaly All Ireland Senior Gaelic Football Final, 24th September 1961. 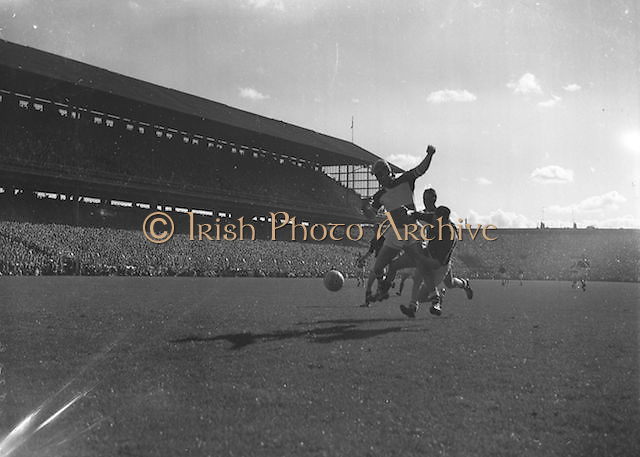 Player kicks ball towards goal during the All Ireland Senior Gaelic Football Final Down v. Offaly in Croke Park on the 24th September 1961. Down 3-6 Offaly 2-8.